Two surveying vessels leased by U.S. oil giant ExxonMobil have left the Cypriot port of Limassol, heading out to sea and towards a possible dispute with Turkey, which sent warships to block similar exploration efforts by Italian energy company Eni. It remains to be seen whether the Turkish Navy will attempt to block the ExxonMobil vessels in the way it did with the Eni exploration ship, but a U.S. warship left nearby Israel the same day as the ExxonMobil vessels and a U.S. amphibious group is also in the area around Cyprus. According to MarineTraffic, one of the ExxonMobil survey ships, Med Surveyor, is on course for the Greek port of Piraeus, but is currently near the disputed islands, of Eşek (Agathonisi) and Bulamaç (Farmakonisi), in the southeastern Aegean. Her exact purpose is not known. The other surveying vessel, Ocean Investigator is in Cyprus’ exclusive economic zone (EEZ), according to her last known position. 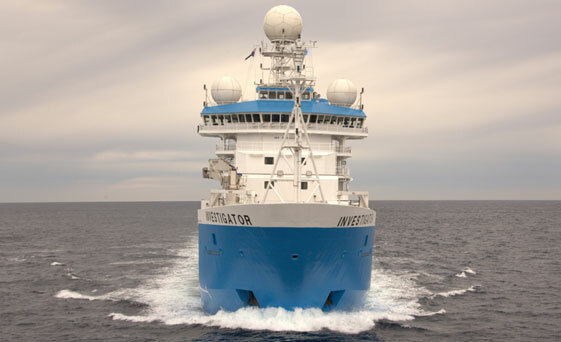 It is possible that the Ocean Investigator might have already started to survey in the volatile region. Meanwhile, USS Donald Cook, a guided-missile destroyer and one of the most modern warships in US Navy, also left the Israeli port of Haifa to patrol in the Mediterranean on Tuesday, the same day as the survey ships. The U.S. Navy’s Iwo Jima amphibious ready group, including three amphibious ships and 2,500 U.S. Marines, entered the Mediterranean late last month, and is currently in the eastern Mediterranean. Meanwhile, Turkish research ship Barbaros Hayrettin Paşa, is also in the eastern Mediterranean, between Cyprus and Turkey. Turkish warships twice blocked the path of an exploration vessel leased by Italian energy firm Eni off Cyprus last month, forcing it to divert despite calls from the European Union and the United States. The eastern Mediterranean has seen some of the world’s biggest gas discoveries in the last decade, at a time when Europe is looking to diversify supplies from Russia. Turkey says efforts to look for potentially rich energy resources off Cyprus do not recognise the rights of Turkish Cypriots. Only Turkey recognises the breakaway Turkish Cypriot administration in northern Cyprus, while the rest of the world recognises the Greek Cypriot government in the south as having sovereignty over the whole island.